SXSW EDU may be a few short weeks away but we still have exciting news to share. Introducing this year’s Student Startup competition finalists and judges, as well as the emcees for the Launch and Learn by Design competitions, and additional performances. The Student Startup competition brings together high school students during SXSW EDU to pitch their entrepreneurial business ideas. The fifth annual competition expands from a previously regional event to an international one with applications submitted from youth around the world. Eight startups have been selected to compete as finalists during the live competition on March 6. The Student Startup competition will be emceed by KW Branding + Design Founder Koby Wheeler and Whatever It Takes Founder & President Sarah Hernholm. Judges will include For the Students Founder Ogden Payne, Latinitas Program Director Sylvia Butanda, Curcuma Chef and Founder Rachel Musquiz, and Blackstone LaunchPad Executive Director Mitch Jacobson. Monica Armendariz, Founder and President of Monica Armendariz Consulting, will serve as a coach to all of the competing students prior to the live event. 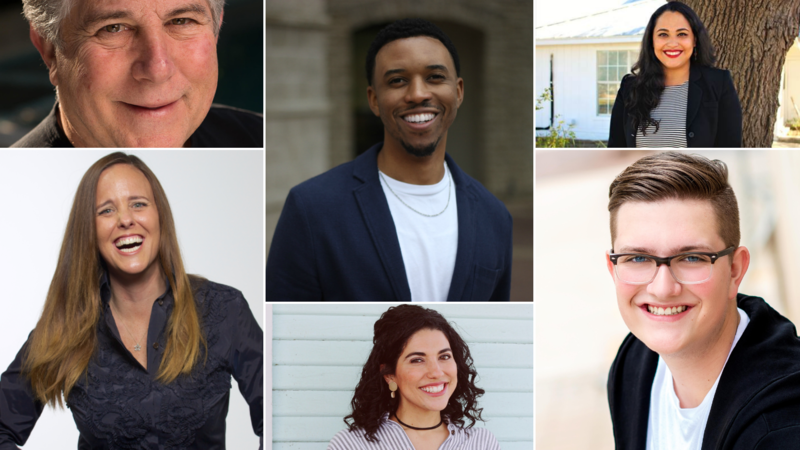 The eight early-stage education startups have already been announced and will take the stage on Tuesday, March 5 to pitch their ventures in front of the judges and a live audience. This year’s Launch competition will be emceed by Berkeley SkyDeck Executive Director Caroline Winnett and Make School Founder Ashu Desai. James Kim, Associate at Reach Capital, will serve as a coach to this year’s finalists. The seven design-based solutions to challenges within education were previously announced as well and will compete in the Learn by Design competition on Tuesday, March 5. New Tech Network President & CEO Lydia Dobyns and William & Flora Hewlett Foundation Program Officer Marc Chun will emcee this year’s competition. Coaches include Kareem Edouard, Assistant Professor of Learning Technologies at Drexel University, Ashley Flores, Vice President and Education Strategist at HKS, Inc., and Jeff Parker, Educational Visioning Thought Leader at SHP. The performance series has been thoughtfully curated to offer attendees a unique experience that is both entertaining and educational. The already stellar lineup grows with several newly added performances. SXSW EDU celebrates the power of film to explore critical topics and issues impacting education with screenings and Q&A discussions. Today’s announcement completes this year’s lineup. Photo (l-r, t-b) Mitch Jacobson, Ogden Payne, Sylvia Butanda, Sarah Hernholm, Rachel Musquiz, and Koby Wheeler.